[Update, 10 a.m., 3/31: Due to the predicted poor driving conditions tonight the temple will be closed and services have been canceled.] Sunday is the model Seder for our Religious School! Friday, ​March 31, 7:30 p.m.
Update, 10 a.m., 3/31: Due to the predicted poor driving conditions tonight the temple will be closed and services have been canceled. 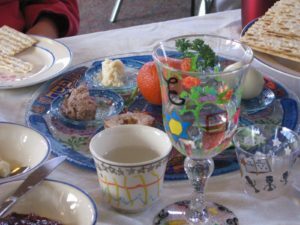 In order to make sure we have a full Seder experience, ​school families ​are volunteering to bring ​something either for ​the Seder plate or the meal. We would also appreciate any help you can give us for the set up and clean up of the Seder. The Seder will begin and 10:20. 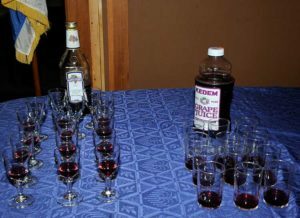 Students will meet with their classes for twenty minutes before the Seder begins. The set-up crew will start at 9:00, and we hope to be finished cleaning up as close to noon as possible. Please let Michelle know how many people from your family will be coming and if you can help with set up or clean up and what food item you will be bringing. Sunday, ​April 9, 2 p.m. Taste of Mussar, fourth and final class.